Attachment Parenting incorporates the “golden rule” of parenting; parents should treat their children the way they would want to be treated. Positive discipline is an overarching philosophy that helps a child develop a conscience guided by his own internal discipline and compassion for others. Positive discipline is rooted in a secure, trusting, connected relationship between parent and child. 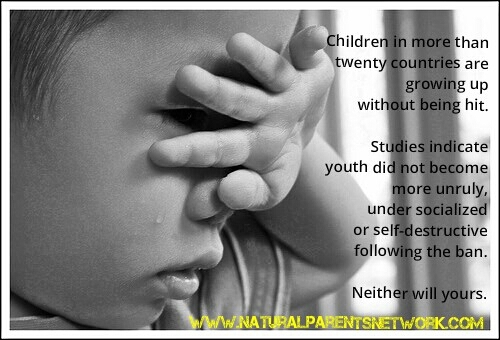 Discipline that is empathetic, loving and respectful strengthens that the connection between parent and child, while harsh or overly-punitive discipline weakens the connection. Remember that the ultimate goal of discipline is to help children develop self-control and self-discipline. To learn more about practicing positive discipline, take a look at the resources below. If you have specific questions about this category or know of additional resources that should be on our list, please contact us. What is Gentle Discipline?, by Hilary Flower (La Leche League International): LLL describes the goals of gentle discipline and dispels the myths. Tips for Gentle Discipline (Safer Child, Inc.): Safer Child offers a long list of resources and tips for putting gentle discipline into action. Positive Discipline – What Is It and How to Do It, by Joan Durrant, Ph.D. (The Center for Effective Discipline): A manual that teaches parents how to teach children while respecting their children’s human rights. The 101 Positive Principles of Discipline, by Dr. Katherine C Kersey: An excellent go-to list of solutions for the gentle parent. Positive Discipline and Child Guidance (University of Missouri): The University of Missouri provides an introduction to positive discipline and invites you to reevaluate pre-conceived ideas of what discipline is about. Discipline and Behavior (Dr. Sears): Dr. Sears offers a wealth of information on gentle discipline and coping with normal childhood behavior. Gentle Guidance (The Natural Child Project): The Natural Child Project has created a list of articles on gentle discipline, with subjects ranging from reasons to not spank your child to effective guidance strategies. Parenting Without Punishing: This site offers research, practical advice, and guidance on how to ditch punishments and parent with a fundamental respect for your children. “Magic” Sentences for Avoiding Conflict and Negotiating (Getting What You Want) and Taking Care of Yourself, by Jane Bluestein, Ph.D.: “Magic Sentences” (or key phrases) are simply practical ways to use language to prevent, minimize or de-escalate conflicts with kids. Gentle Christian Mothers/Gentle Discipline: Gentle Christian Mothers offers articles and links on gentle discipline from the Christian perspective. Playful Parenting, Lawrence J. Cohen, Ph.D.: Learn how playfulness and laughter can repair and strengthen your relationship with your child, resulting in a happier family and less punishment/consequences. Best anti-spanking resources, by PhD in Parenting: This is a great blog post dedicated to non-violent parenting where the author shares a comprehensive list of her favorite anti-spanking resources. 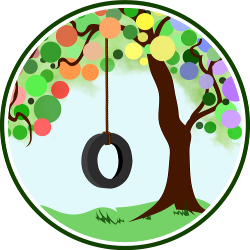 Positive Discipline is a website based on the best selling books by Dr. Jane Nelson and offers resources on positive disciplining for parents, teachers, facilitators, and for every age group and phase of child rearing. There is something for everyone on this website. Gentle Discipline, by The Parenting Passageway: This is a very thoughtful post on gentle discipline and contains a list of all subject-related articles on her website, including an article specifically for those new to the concept of gentle disciplining, and feedback and resources posted by other readers. This is a great introductory article for those just delving into the concept of gentle discipline. Parenting Gently hosts an Annual Carnival of Gentle Discipline. This site has a plethora of posts from many different bloggers and guest posters who have chosen to share their experiences, insights, and advice on gentle parenting and positive disciplining. What to Do Instead of Punishment, at NoSpank.net. : links to many different articles and resources on positive parenting. The Center for Effective Discipline: The Center for Effective Discipline is a non-profit dedicated to ending corporal punishment. Their site hosts links and articles about the consequences of corporal punishment, how to stop corporal punishment, laws, etc.